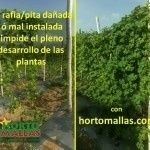 Still Using Raffia to Support your Crops? 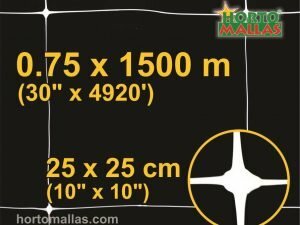 Notice how fast and easy it is to install HORTOMALLAS trellis netting. The old agricultural raffia method of plant tutoring or plant training has been proven to be infective and inefficient, due to the high labor costs, the fragility of a hand woven plant support system (all it needs –as in the picture below– is for one accidental cut of one of the threads for the whole wall to collapse). 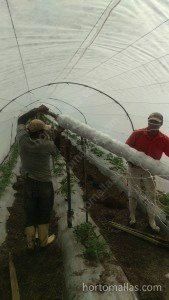 A plant support system made out of twine requires many man hours to be installed, and it only lasts a crop cycle. 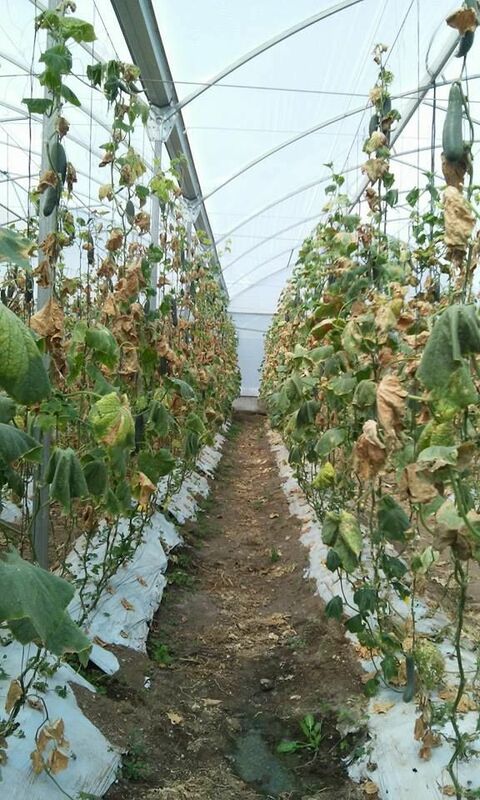 Diseases due to mechanical contact are common in raffia trellising as the hands of the workers doing the guiding will become vectors of pathogens lie any white fly! 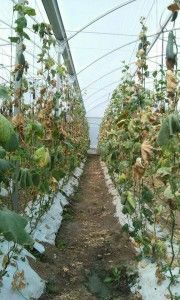 (approximately 1/4th of the time required with twine) and the possibility of re-using the same netting many times over. 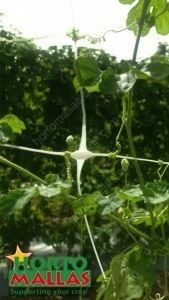 Also in many cases tutoring with this older method requires plants to be trained manually, which increases the possibility of mechanically spread diseases as the hands of the workers can become the vectors of pathogens. 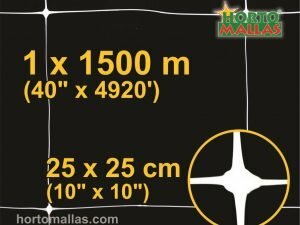 Raffia vs, HORTOMALLAS trellis netting comparison, one can see how easily the raffia support can fail if only one accidental cut (common event during pruning and harvesting) is inflicted on the string. Clearly, besides 1) the time saved in installing HORTOMALLAS vs. what it takes to weave the trellis with raffia twine, and 2) the phytosanitary advantages of having an environment where diseases cannot be easily propagated by contact (as there is a reduced need for manual training of the plants) 3) the cost factor since HORTOMALLAS can be reused many times over or 4) by the increased production in fruits thanks to a reduced plant mechanical stress… the clear advantage is physical: plants grow better on an extended trellis net rather than on a single twine. 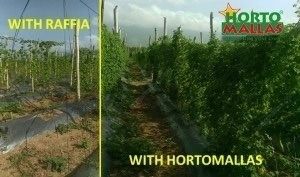 HORTOMALLAS Horticulture Net for training vegetable plants increases Crop yields as compared to the use of agricultural raffia twine. 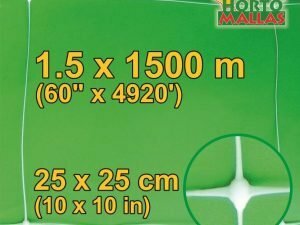 Plants will find ways to attach to the multiple meshes HORTOMALLAS offers as support and extend fully over the whole surface rather than forcing the whole plant to compete for a single support. Also when used as greenhouse tutoring or in a high tunnel raffia will require a lot more labor than HORTOMALLAS: and with the daily manipulation of the plant comes an in creased exposure to diseases and loss of production.